I had a bit of a spree at the weekend - determined to tick more off my twin list and get my hospital bag sorted as although we have an elective section booked, I wouldn't be surprised if these twins tried to be tricky and appear early! They feel SO heavy now! Medela Swing breast pump on ebay - 2nd hand, hardly used (we checked the sterilisation details first but since you can hire them from hospitals, figure you can get them perfectly clean) and so much cheaper at £60 with extra teats and bottles incl. postage instead of £129 for the basic package. Twin feeding pillow on ebay - Again, 2nd hand, hardly used with washable covers, suitable for tandem breast or bottle feeding. £18 instead of £89! 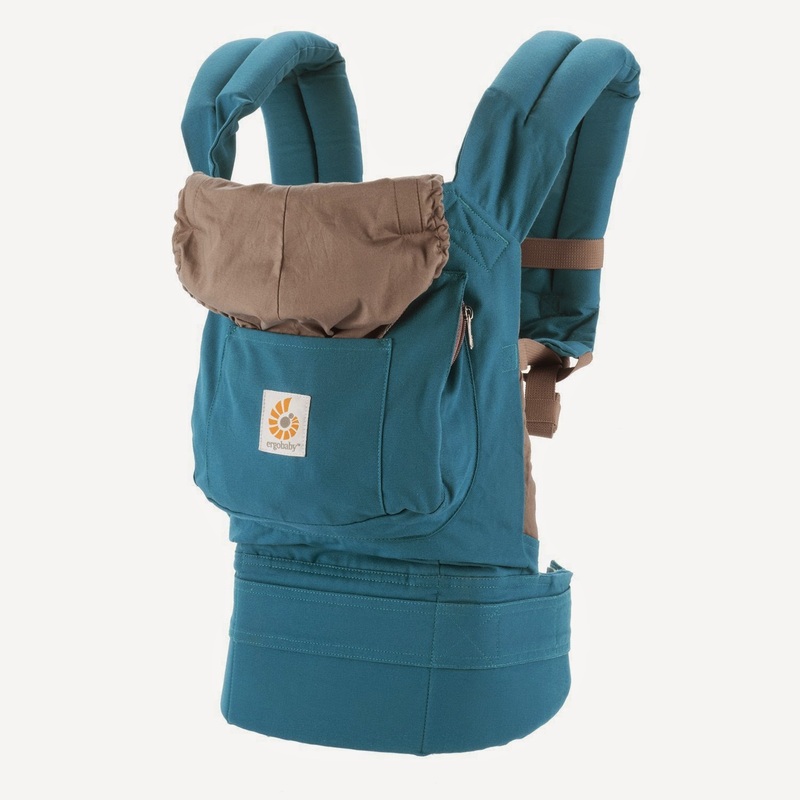 I've bought one Ergobaby carrier (as recommended by a few folk on Twitter after I asked, thank you! The reviews look great!) and am still watching a couple on ebay (I'm after the grey one with stars next). This one was new on amazon for £82.59 rather than £104.95 everywhere else I looked plus I got a further £15 off (for spending over £60 on baby stuff) by joining their family club on a 30 day free trial. I found Rebecca's list of essentials and the additional comments very helpful (especially since she had a caesarian too!) so have stocked up on a few of the items she mentioned including big pants for the weeks after (I already had maternity pants and pads) to avoid rubbing on the scar which I bought from M&S along with accidentally finding just the nightie design I was looking for for the hospital (although I have worn it for the last few nights already, it's so soft and comfortable if a bit tight on the hips) for just £12.50 (and I had a 25% off voucher). Rebecca also reminded me of pram sheets which I'd been having trouble finding to fit the Bugaboo Donkey (they're all for the Chameleon!) so the link to good old John Lewis was very handy and I bought these cream fitted round end sheets which fit perfectly! 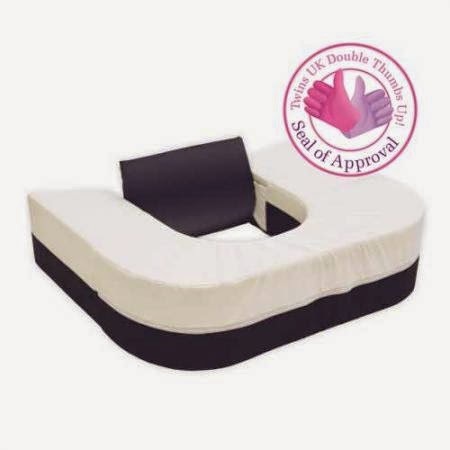 I thought the use of disposable changing mats was genius to save washing the thick pram mattresses which could get easily soiled through the pram sheets due to sick or these crazy poo explosions I've been hearing so much about/witnessing recently!! (I honestly had no idea nappies leaked poo so easily!) Rebecca mentioned using the Pampers ones but that you can get them in many forms. I don't know if she meant different brands but looking closer, they reminded me of incontinence pads we used in theatre and after a quick search I found these to be much cheaper. 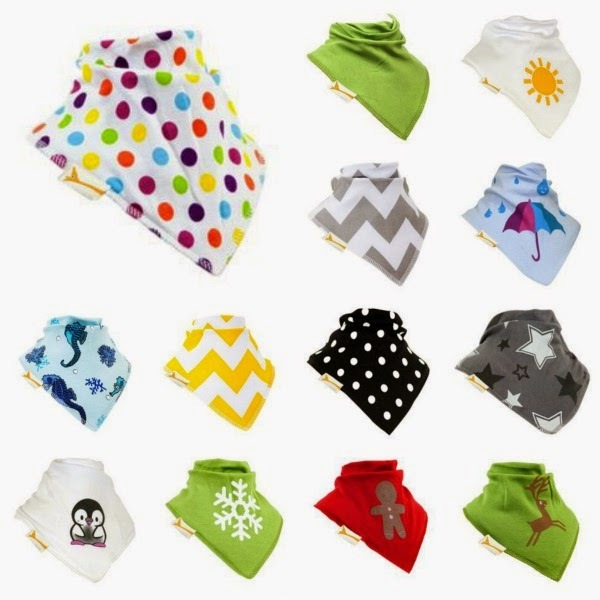 Back to more fun things to shop for and I had a ball choosing from all the dribble bib designs at Funky Giraffe! Having 2 babies with likely multiple daily changes depending how drooly/sicky they are means it was easy to choose over 10 in order to get them at the cheaper price of £2 each (normally £4). I especially loved the Christmas designs and now having heard from Gaynor that they are great and still fit her 2 year old, I shall be heading back for more including their fab Halloween designs, at some point. Another thing this week was the nipper clipper, £9.95, invented by Tom Pellereau who won The Apprentice a while back. 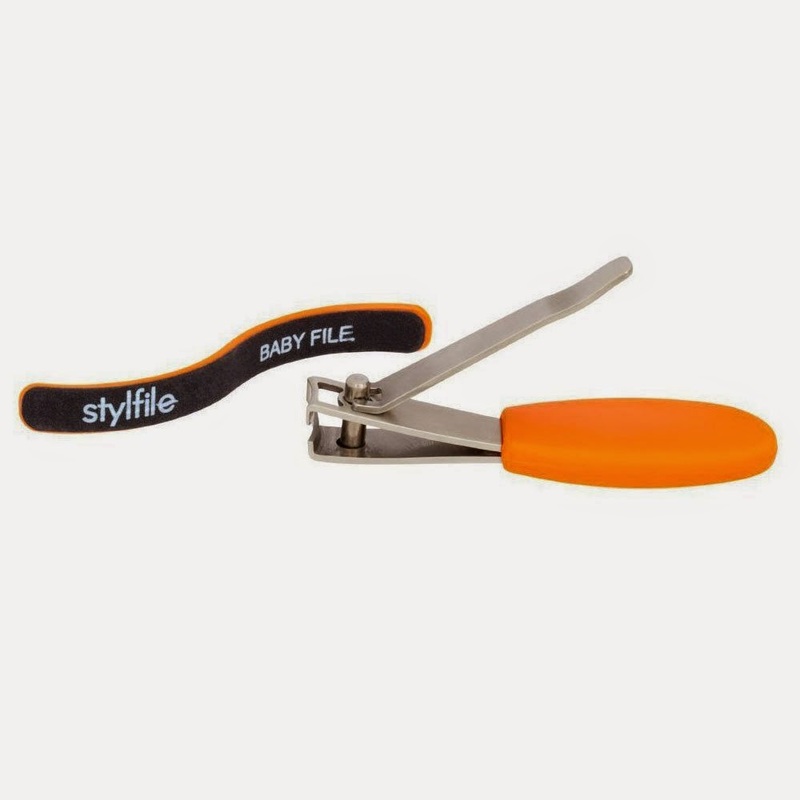 The thought of trimming the twins' nails freaks me out - I get the heebie jeebies just thinking about if I nicked their wee fingers by mistake so when I spotted this little nail clipper with a window (so simple!) to see exactly where you're cutting I had to get one! The bath toy caddy was just £3.50 and they list the pink and blue separately (on some websites it's pot luck which colour you get according to reviews). The reviews also complain about the suction cups not sticking even without toys in. We have very flat shiny tiles and they stick perfectly fine. I stuck them dry first and one did pop off after I put the toys in so I wet them all and it's been up (with a full caddy) for a week now. The baby bath support sponges were £6.95 each and can be used in the sink or the bath (depending if I'm bathing one or two babies at once - depending if I have help of course!) so I'll see how I get on with them instead of a separate baby bath as I'd have to fill that twice anyway. The squirts, toy caddy and dots are all by Munchkin. The duck family was a gift from Mum & Dad, the tupperware boat was mine as a baby and the other rubber ducky is also a water thermometer from M&D. Oh and there's our cute new lampshade in the nursery - just £8 from Asda, it's quite small but perfect for our new lower ceilings. As you can see, I managed to get some great bargains (but splashed out on the changing mat) and I'm definitely feeling more prepared for the imminent arrival of ALL THE BABIES! Eeeeek! Oooh you're so near bex, good luck! A word on the ergo-if you ever choose to sell it on people want to know it's not a fake so keep your order email to prove it came from a reputable seller, and you can get newborn inserts for them so that they can be used with young babies. Don't know if you've got one already but given the twins will be early I guess they may be small for longer? Oh my goodness, it's so exciting!! If you weren't already thinking about it, pick up a preloved moby or similar stretchy wrap for around £20 - I'm not sure how far down the ergo sits but I know my manduca won't be any use after my section due to the belly plate, so a wrap will keep baby off my scar. Have you got muslins? I underestimated just how many I would need and was thankful that D went on a muslin buying mission even though I mocked him at the time! Thanks guys - Rebecca, I am watching some of the new newborn inserts on ebay but might end up buying from amazon as I keep getting outbid. 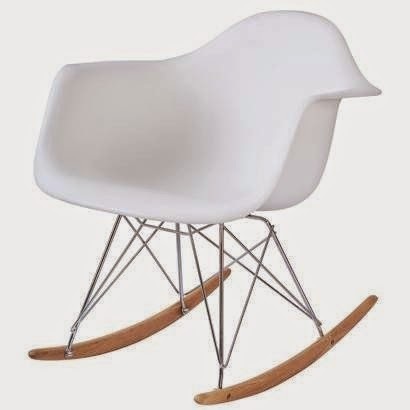 Yeah I adore our ergo but it would definitely sit on your scar. We used to the infant insert for a while as K was only 6lb11, so you may need it for a while with your twinnies. Would send you ours if we didn't need it so soon! You sound so organised. I know you have to be but I'm impressed! Definitely pack books/magazines/iPad etc for the hospital. I couldn't believe how much time I had to relax when I was in! You are so organised. Roz is right about the high sided changing mat - much more secure. We kept meaning to buy the nipper clipper, will def have to get one this time! The high sided / contour mats are great, im getting 2 this time, one for baby's room and one for downstairs as I don't want to move them around especially if I have another section. 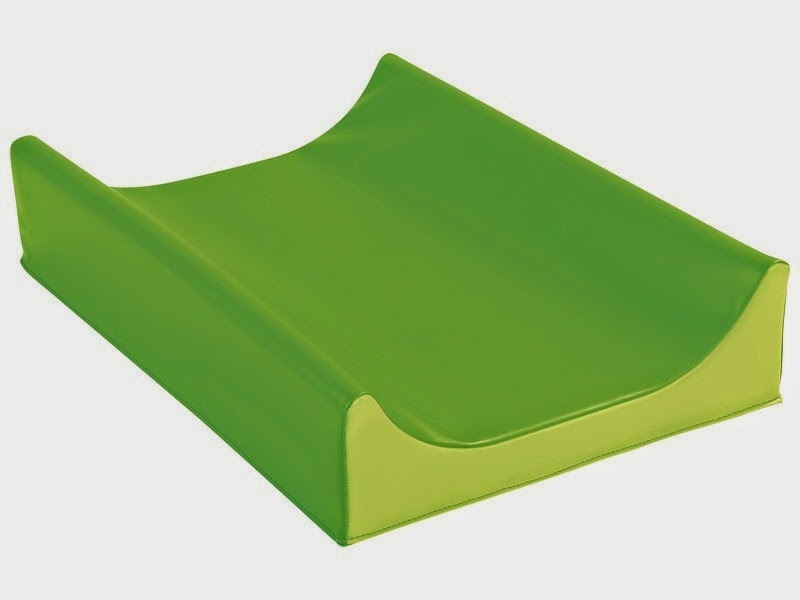 We've also got a folding one that I will use in our room (as its on the upper floor) but felt buying 3 contour ones might be a bit odd! Although last time I couldn't change H on the floor after my section so having a high place to do it was great, we had his mat on the expedit. I know the aden & anais muslins are expensive but they are so much better than all the rest we had. The JL ones were ok but the Tesco ones were rubbish! This time although we will reuse all the old ones we kept, I am def getting more aden & anais ones. They washed brilliantly and are still so soft. We just used those moses basket sheets in white for our cameleon last time too and they worked fine. Yay for the bibs, I need to get more too! Sorry that was a long comment!